A-HOTEL.com - Luxury and cheap accommodation in Krasnogorskiy, Russia. 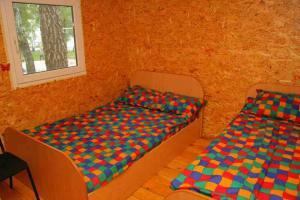 Prices and hotel, apartment booking in Krasnogorskiy and surrounding. A spa area, a restaurant and elegant rooms with flat-screen TV can be found at the modern Avrora Hotel. It lies just 5-minutes drive from Chelyabinsk Train Station. Apartment Your welcome offers accommodation in Chelyabinsk. Guests can use a fully equipped kitchen and a washing mashine. Berkana offers accommodation in Chelyabinsk. It has a garden and free WiFi.